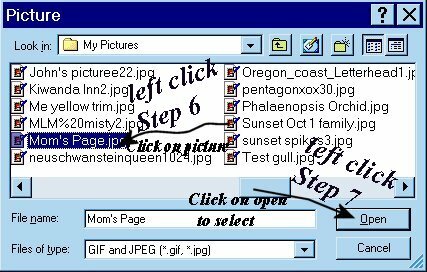 Step 1 Click on "Picture"
Step 2 Click on "Browse". 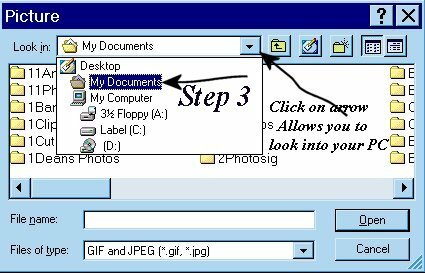 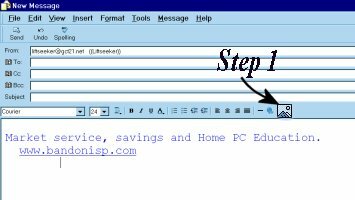 Step 3 Left click on Arrow and select "My Documents"
The Arrow which allows you to go anywhere in your computer. 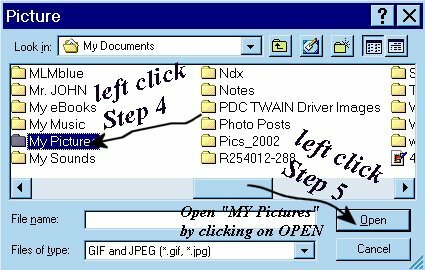 Step 4 Left click on "My Picture"
Step 5 Left click on "Open"
Step 7 Left click on "Open"
Step 8 Left click on "OK"
Advise you print the lesson.